Laser Overload 1st (Welcome) All Level Solutions and Hints are available on one page. If you want some answers them scroll down to the page. 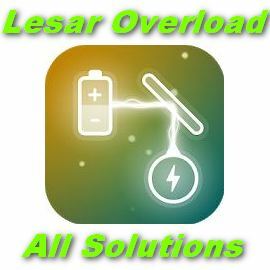 Laser Overload game has a lot of levels with more difficulties and challenges but if you need any help with any level then you are on the right page. About this game: “Laser Overload is the free Puzzle game from the makers of Connect. Thank you for visiting, If any of the answers are the wrong comment on this post.